Reed Hamilton, a home restoration expert, is more comfortable in her steel-toed boots than teetering on heels at a shopping mall. She usually kills her relationships from neglect, so she’s taken herself off the market. An unexpected assignment to evaluate a potential project in upstate New York has Reed leaving the Victorian she’s working on to meet with the client. Reed finds Mason charming, and tempting. 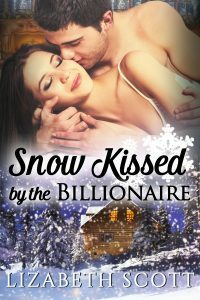 An early snowstorm dumps an irresistible woman at the Mason Tate’s door. As beautiful and enticing as he finds her, career-focused Mason doesn’t do entanglements of any type. So, he proposed that while snow falls outside, they make their own heat inside, then go their separate ways with only pleasant memories of their time together. No emotions allowed. They both agreed. They’d be like two snowplows meeting in the night. At least that was the plan. Until that kiss.